Tiny and unobtrusive, the endangered Dwarf Wedgemussel and the threatened Yellow Lance Mussel are minding their own business in Swift Creek in southern Wake County. 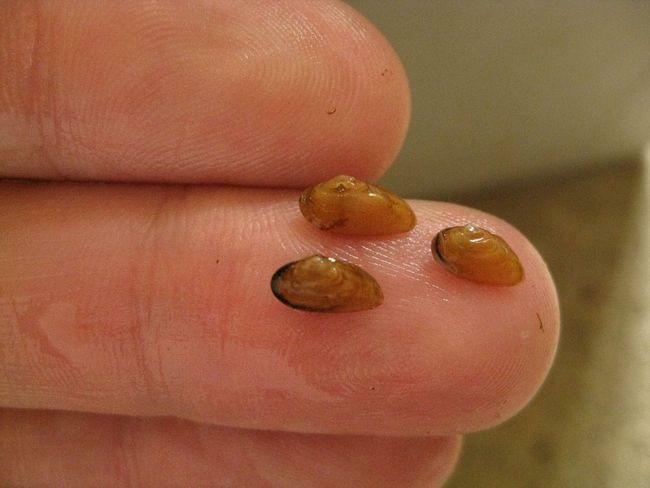 They’re doing what freshwater mussels do: The larvae, having hitchhiked a ways on the back of fish like the johnny darter or a mottled sulpin, hatched just last month. Free of their kids, the adults are hanging out in the sand bottom, nibbling on algae. These two mussels, though, live in the path of the proposed 540 toll road. And now they’re at the center of a federal complaint filed by the Southern Environmental Law Center. Filed in US District Court for the Eastern District of North Carolina, the complaint alleges the US Fish and Wildlife Service committed “arbitrary and capricious”errors when it approved the biological opinion for the 540 toll road. The agency determined that direct effects of the project pose “no jeopardy” to the mussels within a quarter mile of their known occupied habitat in Swift and Middle creeks. “USFWS has failed in every way to analyze impacts to the endangered mussel species and to ensure that measures are in place to prevent extinction, minimize loss and put the species on the road to recovery,” the complaint reads. USFWS did not respond to an email request seeking comment. A biological opinion is the scientific lynchpin for evaluating a project’s potential environmental damage. The harm can be direct — construction that erodes a stream bank, for example — or indirect — stormwater runoff, sedimentation and increased development that usually accompanies such road projects. The opinion is also legally required to consider a project’s cumulative impacts in an “action area.” These cumulative impacts could include the construction of the Atlantic Coast Pipeline, which will pass through Johnston County, as will part of the toll road. The federal agency’s errors could permanently harm, or even wipe out, the mussels, SELC says. Federal law recognizes that construction can unavoidably kill some members of endangered or threatened species. That damage is limited though, in an “incidental take” permit, which is supposed to specify “whenever possible” the number of animals, birds or aquatic organisms that can be killed. These “incidental takings,” as they’re known under the Endangered Species Act, would cause the mussels to go virtually extinct in North Carolina. But, as SELC attorney Kym Hunter pointed out, USFWS has authorized the state to essentially kill all of the mussels within 50-plus miles of their habitat. USFWS has said it’s too difficult to accurately count the mussels because they are “small and cryptic in nature.” In other words, the agency won’t know how many will be destroyed because it doesn’t know how many exist: Out of sight, out of mind. There are situations in which counting endangered or threatened species is very difficult — their low numbers are precisely the reason for their status. In those cases, USFWS can assign a “surrogate” method of estimating the population. But the law requires USFWS to make a scientific case for the alternative, which, Hunter said, it has not done. And in any case, the Endangered Species Act prohibits USFWS from allowing, through intention or neglect, a species to become extinct. The process began when NC Department of Transportation and its federal counterpart, the highway administration, were responsible for drafting a biological assessment of the area that would be affected by the 26-mile, $2.2 billion toll road project. USFWS then reviewed those agencies’ assessments and issued a biological opinion earlier this year. A national firm with offices in North Carolina, Michael Baker Engineering has run into trouble before in its land use analysis. 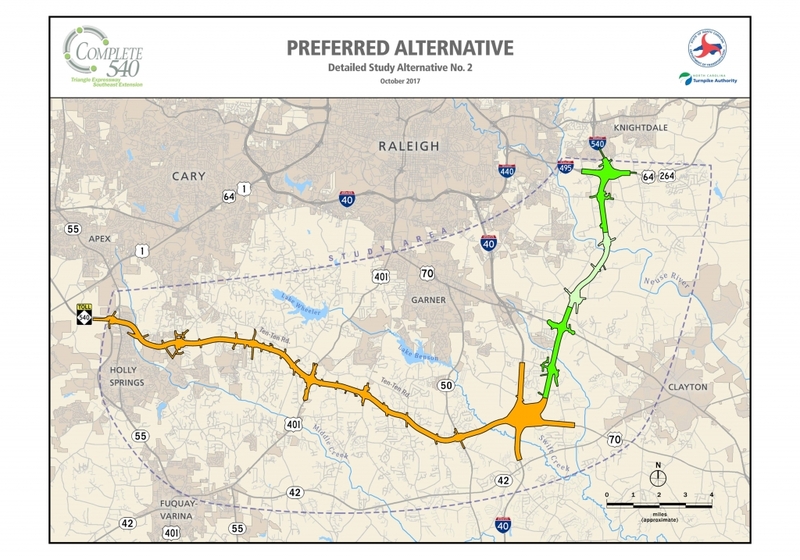 In a lawsuit regarding another major road project, the Monroe Connector between Union and Mecklenburg counties, a federal appeals court concluded Baker Engineering undertook “patently inadequate steps” in estimating the environmental impacts of that project. 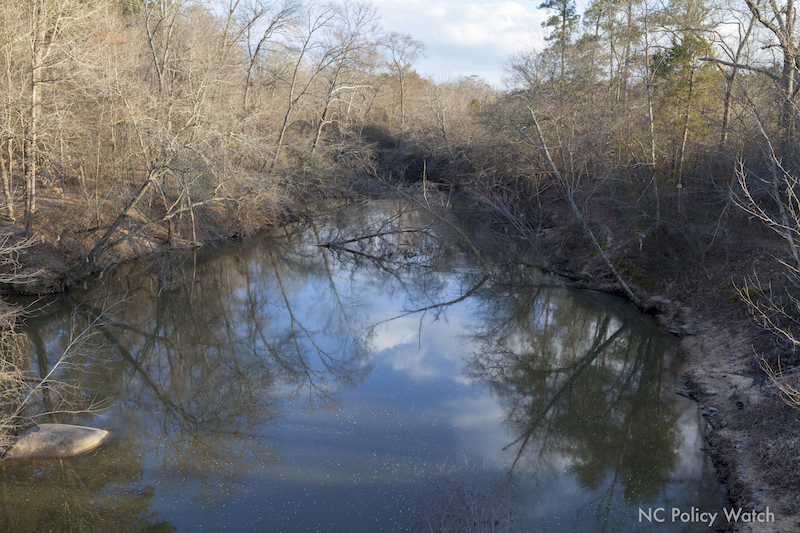 Swift Creek is considered key to the Dwarf Wedgemussel’s survival in the wild. The species has gone extinct in Canada and has disappeared from the main part of the Neuse River. It has been on the Endangered Species list for 18 years. 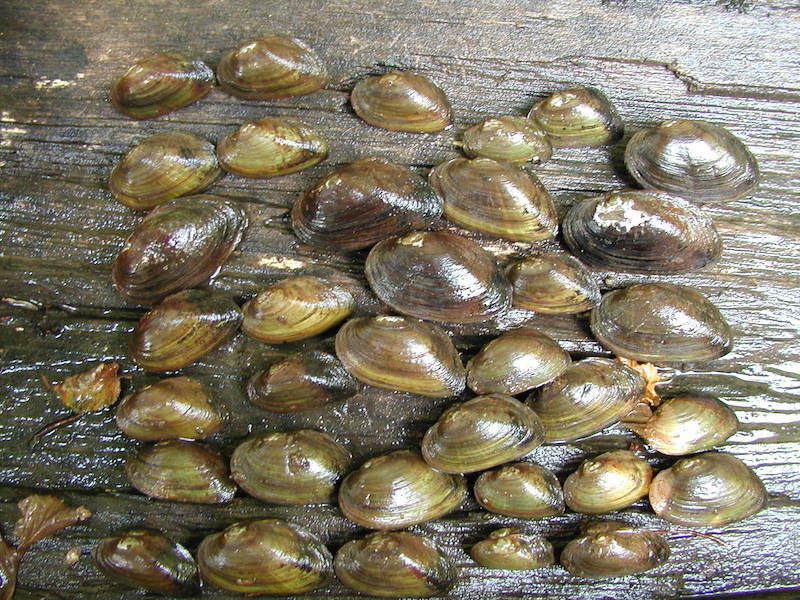 Just last month, USFWS listed the Yellow Lance Mussel as threatened because of a steep decline in its numbers. It also lives in Swift Creek, but now has extinct in one of its native habitats, the Potamac River. The state Department of Transportation would pay Wake County $2 million to upgrade the facility and another $3 million to the NC Wildlife Resources Commission for operations and maintenance for up to five years. However, the propagation facility appears to be little more than political cover. The USFWS biological assessment doesn’t list any breeding goals, benchmarks for success, or methods for reintroducing the mussels back into the wild. It’s also unclear who would be accountable if the experiment fails, and how the project would continue after the funding runs out — which would happen before the highway is even finished. And since the damage to the Swift Creek watershed would be ongoing, it would be inadvisable, even impossible to reintroduce the vulnerable mussels back into the wild. SELC is asking US Chief Justice James Dever III, an appointee of George W. Bush, to vacate the biological opinion and incidental take statement. The firm also wants Dever to require USFWS to comply with the Endangerd Species Act, and halt any authorization of the project until it has complied with the laws. The agency has 60 days to respond. If SELC deems the agency’s response inadequate, the law firm could sue under the Endangered Species Act. This summer, the state Department of Transportation is expected to issue its Record of Decision on the 540 project, based on the USFWS biological opinion.